Eve Online is a video game by CCP Games. It is a player-driven, persistent-world MMORPG set in a science fiction space setting. Characters pilot customizable ships through a galaxy of over 7,500 star systems. Most star systems are connected to one or more other star systems by means of stargates. The star systems can contain moons, planets, stations, wormholes, asteroid belts and complexes. Players of Eve Online can participate in a number of in-game professions and activities, including mining, piracy, manufacturing, trading, exploration, and combat (both player versus environment and player versus player). The character advancement system is based upon training skills in real time, even while not logged into the game. Eve Online was released in North America and Europe in May 2003. It was published from May to December 2003 by Simon & Schuster Interactive, after which CCP purchased the rights and began to self-publish via a digital distribution scheme. 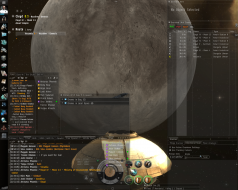 On January 22, 2008, it was announced that Eve Online would be distributed via Steam. On March 10, 2009, the game was again made available in boxed form in stores, released by Atari. 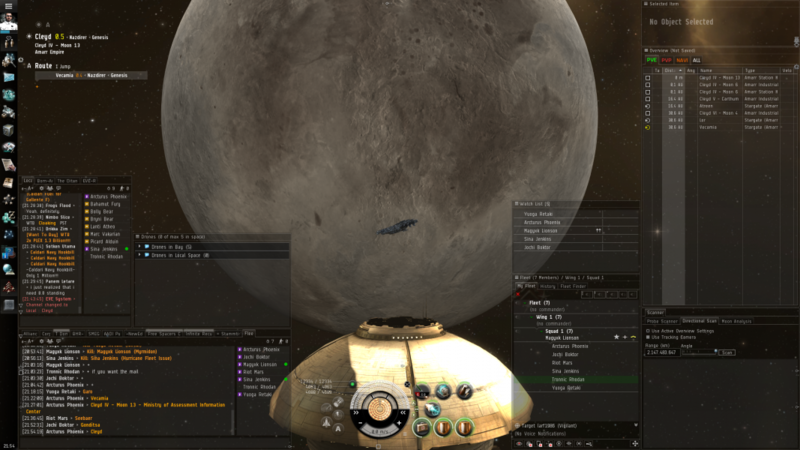 The current version of Eve Online is Odyssey, released June 4, 2013. 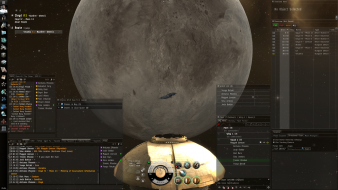 In February 2013, EVE Online reached over 500,000 subscribers. The game offers native support. All available Windows resolutions are in the graphics options. This includes any custom resolutions. The game is vertical minus, however the degree you can zoom out mitigates this issue to some degree, the UI can be resized and reposition to the users liking.